A Tonk's Tail... err, Tale...: The PURRfect Fit. I'm a daddy's GIRL, can you tell? Oh wow, WE dont get at fancy shoes like that! Oh Allie...look for some girly shoes sweetie!!! *sigh* I know, but as much as I have INSISTED she buy them, Mother has REFUSED to buy PINK. Purrfect Allie just your size. Have a wonderful Wednesday. 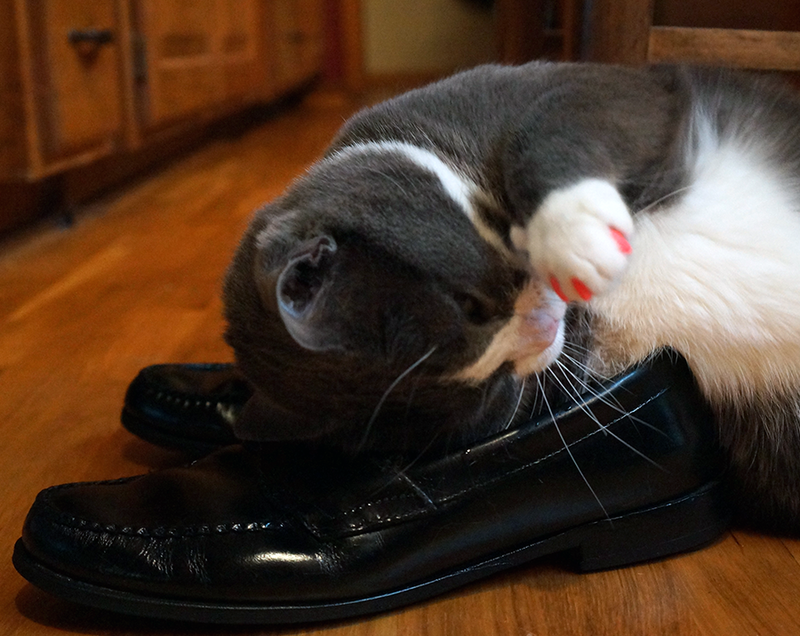 The kitties do love the shoes. 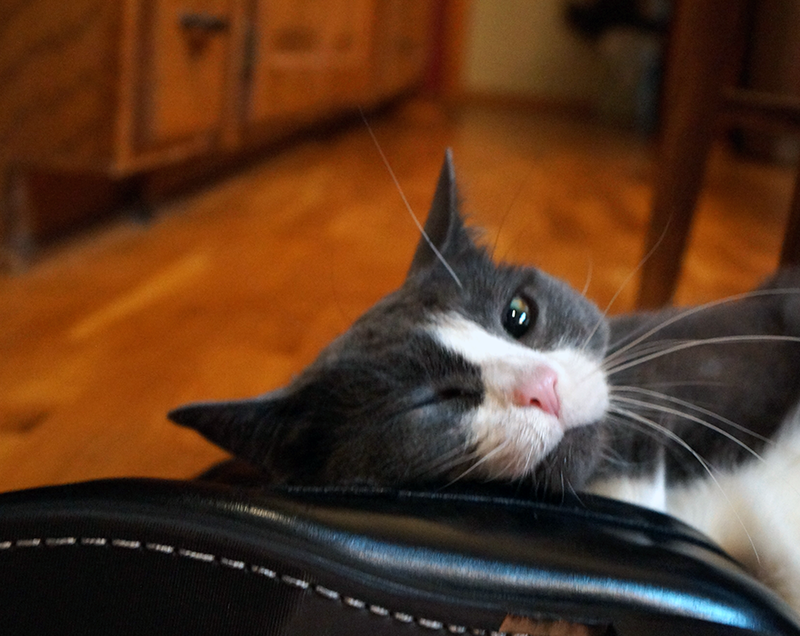 Nothing better than a good shoe to use as a pillow. Good choice. Hope all of you have great day. 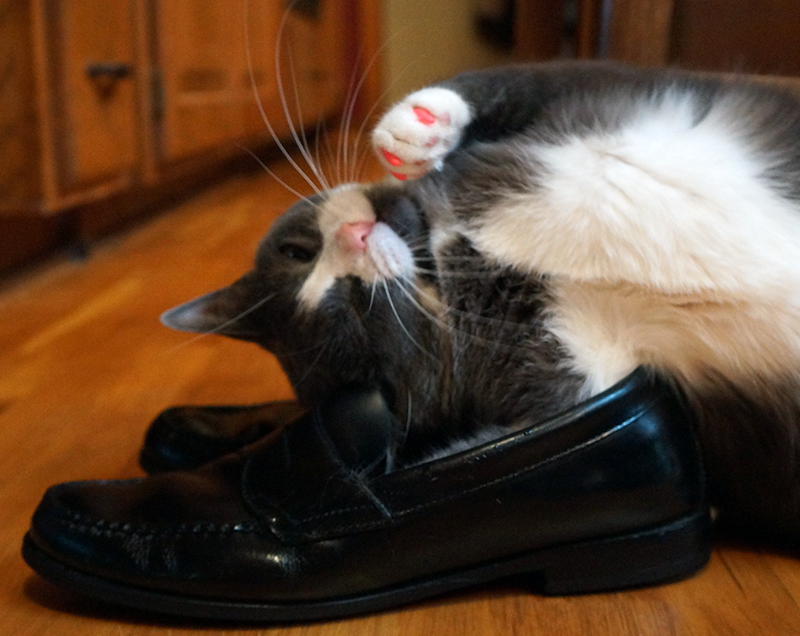 Former Farm cat Fred loved shoes. He would leave presents in them. Like dead mice, hairballs. All kinds of yummy things. HEHEHEHE!!! Purrty funny! Shoes are great toys! Amos, our Manx used to "wear" my husband's sandals. He slid his paws through thema dnwould lay like he was king of the world! MOL! They look beautiful on you, Allie! Wow, what's with all the shoe love? 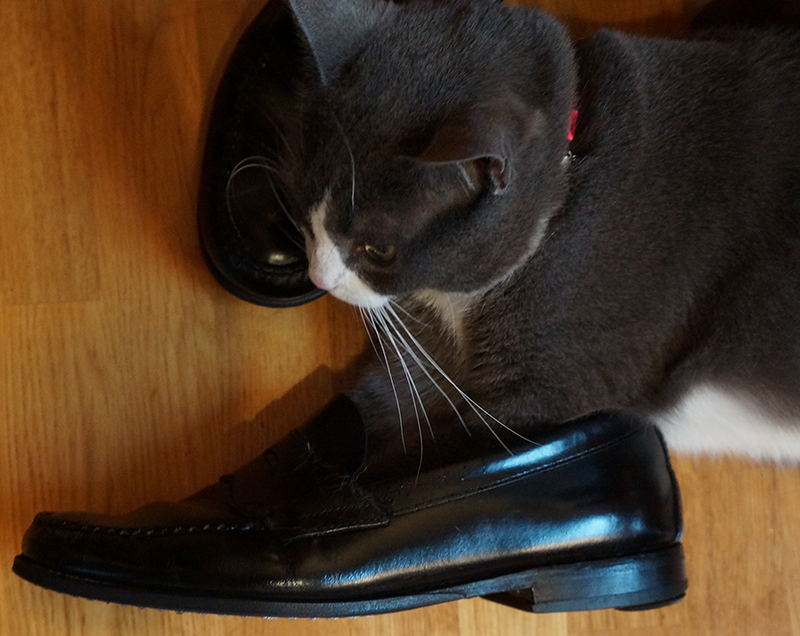 I wouldn't touch my human's stinky shoes with ten-foot tail! Gotta give those shoes some loving! Allie is a shoe girl! Allie: Don't you know it! Pink and designer, in that order! Heee! Allie, you don't have a shoe fetish, do you?! Allie: *giggle! * Mother says YES SHE DOES! Whiffies and rolling! Great fun that feels soooo good. You so cute! MOL. Better to roll on than wear. You don't want to hide your beautiful manicure! Looks like there must be a good smell in those shoes. I love leather shoes too! Oh Allie - you are always so darn cute M says. mmmmm...shoes are the best! Did you find a toy in the shoe? My sisfur, Phoebe likes to put toys in shoes. She's so funny! Allie, you are a braver cat than I. 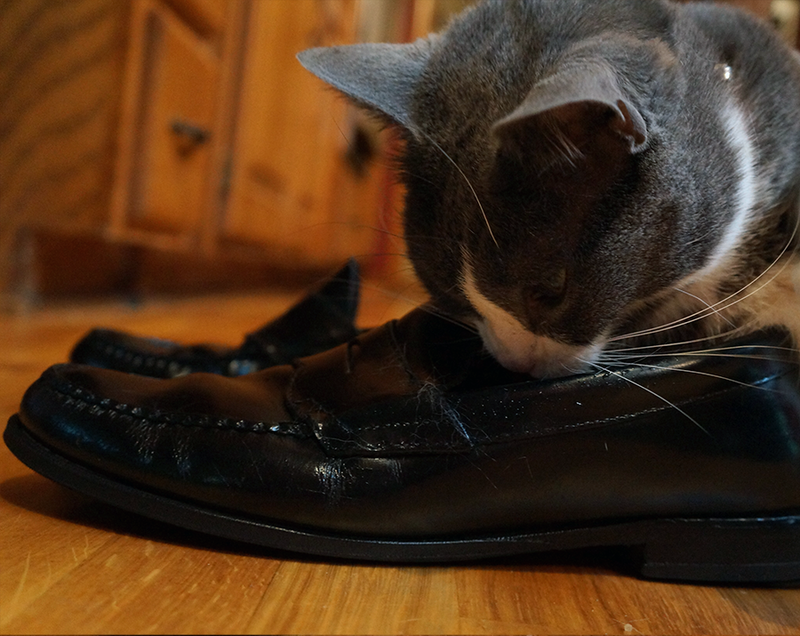 ...I try to steer clear of Gloman's shoes given the fact that our kitty noses are 14X more sensitive that the one that wears the shoes. It's true cat's can sleep anywhere!! MOL! You make those shoes look good!